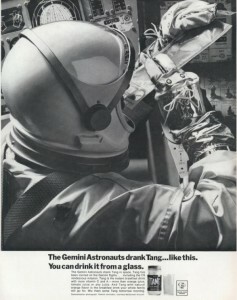 Magazine ad for Tang Instant Drink after NASA began using their product in space. October 21 is William “Bill” Mitchell’s birthday. Mitchell was an American food chemist and prolific inventor. Most people won’t recognize his name, but they usually recognize his inventions. He is the man responsible for Cool-Whip, Tang, Pop-Rocks, powdered egg whites and quick-set Jello. He has over 70 patents to his name for various food oriented inventions. His first job as a chemist was almost his last. He was a research chemist at an Agricultural Experiment Station in Lincoln, Nebraska when an explosion in his lab severely injured him. He received second and third-degree burns over most of his body. After his recovery, he began working in the safer field of food chemistry. General Foods Corporation hired him in 1941 as a research chemist. His first food chemistry success was in response to the tapioca shortage caused by World War II. The United States couldn’t get tapioca because its primary source, the cassava plant, grows mainly in Asian countries. Mitchell developed a substitute that helped keep the US Army in tapioca. American soldiers began to call the tapioca substitute as “Mitchell’s Mud”. Pop Rocks is a candy that reacts with the saliva in your mouth to produce carbon dioxide. This reaction causes the candy to fizz and ‘pop’ in your mouth. Its invention was an accident and came around from trying to make instant carbonated beverages. Pop Rocks was also the center of a famous urban legend. Mikey, the kid from the Life cereal commercials died when he ate the candy and washed it down with a cola, making his stomach explode…and that is why you don’t see Mikey on TV anymore. There is absolutely no way to generate enough gas to blow apart a child with Pop Rocks, but some parents became nervous. General Foods was forced to set up a special hotline telephone number for concerned parents. General Foods also countered the claims with an ad campaign in 45 major publications and 50,000 letters to school principals. Mitchell himself toured the country to show people that Pop Rocks weren’t dangerous. He must have been successful because you can still purchase Pop Rocks today. Tang is an orange flavored additive for water and another Mitchell creation. It was originally sold as a powdered breakfast drink in 1959, but nobody really drank it. It was basically ignored until 1965 when NASA needed something to hide the “nasty” taste of the water produced by the life support systems during the Gemini missions. The astronauts complained of a metallic taste to the reclaimed water. NASA turned to Tang as their solution by hiding the metal taste with orange flavoring and vitamins A & C. General Foods was quick to start marketing Tang as the drink of the astronauts. Tang was suddenly popular and sales took off. In fact, most people don’t know Tang was around longer than the space program, but most people believe Tang was developed for the space program. For a bit of fun, here is a 1966 television commercial for Tang. It was part of the original push after NASA began supplying astronauts with the beverage mix. 1967 – Ejnar Hertzsprung died. Hertzsprung was a Danish astronomer who classified types of stars by surface temperature or color to their brightness. He produced the Hertzsprung-Russell diagram with Henry Russell to graphically illustrate the spectral class of stars based on temperature and absolute magnitude. This chart is used in the study of stellar evolution. He also created a luminosity scale of Cepheid variable stars. 1958 – Andre Konstantin Geim was born. Geim is a Dutch-British physicist who shares the 2010 Nobel Prize in Physics with Konstantin Novoselov for his research on the carbon allotrope graphene. He developed a technique that allowed a simple method to create and isolate single 1-atom thick sheets of graphene. Geim is also a winner of an Ig Nobel Prize. He and Michael Berry share the 2000 Ig Nobel Prize in Physics for illustrating the diamagnetic properties of water by levitating a frog. 1957 – Wolfgang Ketterle was born. 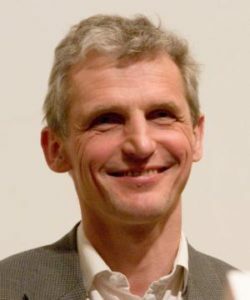 Ketterie is a German physicist who shares the 2001 Nobel Prize in Physics with Eric Allin Cornell and Carl Wieman for the creation of a new state of matter, the Bose-Einstein condensate (BEC). A BEC is formed when a dilute gas of particles are cooled to nearly absolute zero (-273.15 ºC). The particles slow down to the point where a majority of the particles are in their lowest quantum states and microscopic quantum properties make themselves more apparent. Ketterie formed a BEC from sodium atoms using a technique that trapped and cooled the atoms to the desired temperature. This proved Bose and Einstein’s theory where such a state of matter exists. 1914 – Samuel W. Alderson was born. 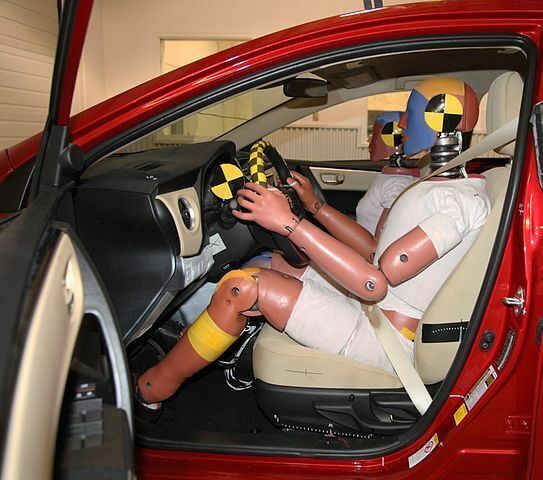 Alderson was an American engineer best known as the inventor of the crash test dummy. This device is used to study the effects on a person during a vehicle collision. They have helped in the development of many safety features of the modern automobile such as seat belts, airbags, and compressible frames. 1911 – William A. Mitchell was born. 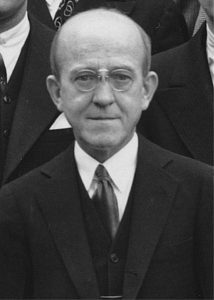 1877 – Oswald Theodore Avery was born. Avery was a Canadian-American physician and molecular biologist. Together with Colin MacLeod and Maclyn McCarty, they discovered the genetic information in genes and chromosomes is made up of DNA. This disproved the belief that genetic material is contained in cellular proteins. 1872 – Jacques Babinet died. 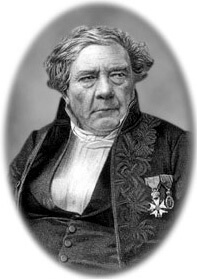 Babinet was a French physicist best known for his work in the field of optics. He proposed to define measurements of length based on wavelengths of light from the cadmium spectra. He also showed the interference pattern formed by shining a light on an opaque body is identical to the interference pattern formed from shining a light through a hole cut of the same size and shape in a screen except for light intensity. This is known as Babinet’s principle. 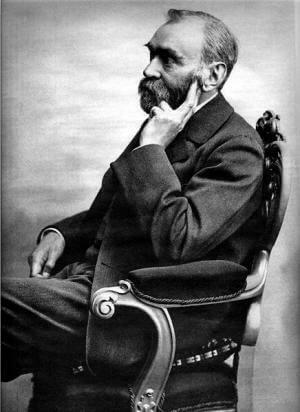 1833 – Alfred Bernhard Nobel was born. Nobel was a Swedish chemist and entrepreneur who was the inventor of dynamite and gelignite. After reading an obituary that falsely announced his death, he became concerned with the legacy he would leave behind. He left a provision in his will to create a foundation that created five annual prizes in the fields of physical science, chemistry, medical science, literature, and peace. These prizes became known as the Nobel Prize. 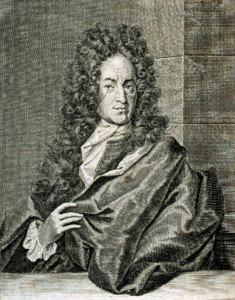 1660 – Georg Ernst Stahl was born. Stahl was a German chemist and physician best remembered for his phlogiston theory of combustion. According to the theory, all flammable objects carry phlogiston that is released when the object burns. When the body runs out of phlogiston, the fire goes out. When metals release their phlogiston, they rust. This theory was widely accepted for nearly a century and was one of the bridges between alchemy and chemistry.